Menopause Relief Herb Packs are presented in the form of herbal granules that can be mixed with water to make a tea or placed under the tongue to dissolve. 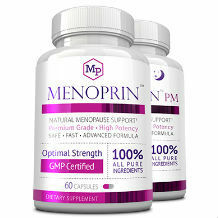 The supplement claims to reduce the discomforts of woman going through the different phases of menopause. Fructus cornus – reduces the frequency of hot flashes, over sweating. It also helps keep the liver and kidneys healthy. Cortex Moutan – the bark of the root plant paenonia suffruitcosa. Provides nourishment and cools the blood. Discoreae root – helps replenish body fluids with trace minerals. Poria – helps evoke a relaxed state. Alisma – helps reduce water retention and prevents urinary issues. It helps lower blood pressure, cholesterol levels, blood sugar levels and is an anti-bacterial agent. Anemarrhena – is an antioxidant. Eclipa – an antioxidant that helps keep the liver and hair healthy. Ligusticum – helps reduce hot flashes and night sweats while acting as an antioxidant. Epimedium – helps maintain bone density by providing required minerals. It also helps reduce the occurrence of hot flashes, night sweats and insomnia. It is also a common ingredient in fertility supplements. Lycium –also known as Goji Berries it helps enhance the immune system and sexual functions. It is also rich in vitamins B1, B2 and C.
Licorice root –known mostly for its flavor, it is also used for digestive complications and relief of sore throats. Stevia leaf – is a natural sweetener. Because Menopause Relief comes in granules it can be taken differently than other supplements. It can be mixed with water or other drinks, held under the tongue until it dissolves or swallowed directly. It is suggested to be taken twice a day, once in the morning and once at night, in the amount of half a teaspoon. Women with intensified discomfort or symptoms can increase the dose to up to three times a day. Once the symptoms reduce, a maintenance dosage can be adopted in the form of only half a teaspoon per day. It may take up to six months for symptoms to ease. The does not appear to be any known side effects of the ingredients used in Menopause Relief. Menopause Relief is costly at $49.95 for a one month supply. Menopause Relief lacks any product guarantee or money back policy. They will accept a return if there is a serious defect with the product, but must be convinced of the defect. They do not offer a guarantee about the effectiveness of this product. 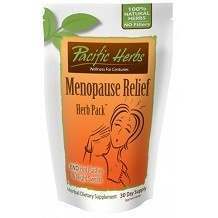 Menopause relief uses many helpful herbal supplements in their product and it comes in an easy to swallow granule form. There do not appear to be any side effects with this product and may help reduce the symptoms of menopause. However, in comparison to other products, it is expensively priced. It also does not offer a guarantee.